After the Prime Day, the Amazon is back with its another big sale called the Freedom Sale. 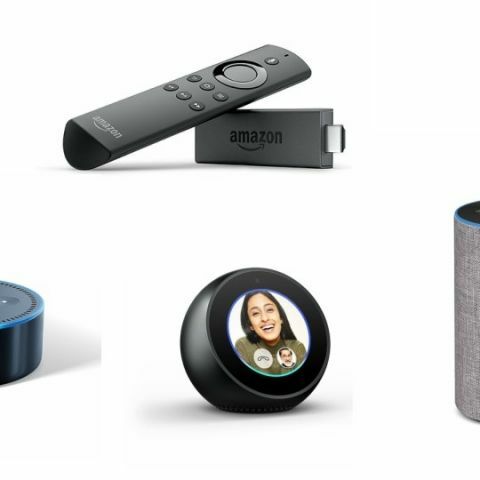 This list contains features Amazon products such as Fire TV stick, Echo, Echo spot and more. Whenever there is a sale on Amazon, the most awaited products are always been its own devices. In this list, we have covered the best deals that are currently going on Amazon devices. The list contains products like Fire Stick, Echo, Echo Spot and more. The Amazon Echo is a smart speaker that gives you access to the company’s digital assistant Alexa. It is a hands-free speaker that can be controlled using voice. The device lets you make calls, order food, book a cab and control smart lights of your home easily. Click here to buy. The Amazon Echo Dot is a smaller version of the Amazon Echo and works in the same manner as its larger sibling. However, the audio output of this device is not the same as the Amazon Echo. The device is available with a 22 percent discount during the Freedom Sale. Click here to buy. If you want to turn your old TV into a smart one then the Amazon Fire TV stick is the device you should consider. This small device connects to your TV via an HDMI port and lets you access apps like Netflix, Hotstar, Voot and more. It comes with a voice control remote as well. Click here to buy. If you want a smart speaker with a screen to enjoy videos then Echo Spot is a right device. It offers same features as the Amazon Echo or Echo Dot, but with a screen and a small web camera. Click here to buy. One of the most affordable and popular Kindle E-reader is up for sale. The device comes with a 6-inch e-paper display and available in two colors black and white. Click here to buy.